1. He is long with alot of mass and power. He has structural integrity that has maternal presence. 2. His Dam is attractive with loads of phenotype. 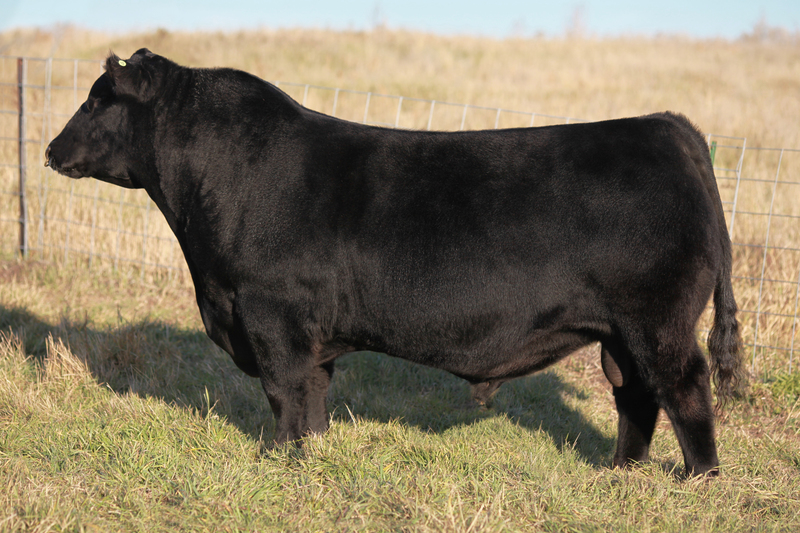 She raised a female that sold in 2014 at $31,500 to Wiwa Creek Angus. Her Grandam raised high-selling female at $40,000 that sold to Canadain dodnors and Rust Mountain View Ranch. 3. Silver Lining claimed victory as the first all Breeds Semex's Presidents Classic Champion in the fall of 2015 and the Reserve Champion at Western Canadain Agribition in the fall of 2016.